Big changes—and a more holistic, organization-wide approach—to global supply chain strategies. Tariff wars and related uncertainty/repercussions mean top-level executives are relying much more on supply chain professionals and trade compliance personnel to rethink supply chain strategy and operations. Their major strategic focus? Managing global operations risk, understanding and mitigating the role of tariffs on company financials, and dealing with ongoing business uncertainty and rising global supply chain costs. More intense focus on data analytics in supply chains. Data analytics is key for supply chain professionals looking to examine, analyze and interpret data related to supplier risk, tariff risk, logistics costs or manufacturing costs. Supply chain professionals with well-honed analytical skills and the use of advanced analytics software for mining and reporting data will continue to help organizations make informed and better decisions. China’s expanding global reach and economic power. China’s One Belt One Road (OBOR) investments in the Middle East and Africa and infrastructure investments in modes including rail lines, roads, ports, bridges and even schools will help the country continue to outpace other countries’ economic expansion as they build long-term economic ties and trading partners. Its development of global trade routes means China’s economic influence is expanding even as U.S. influence begins to contract. “King Consumer” and ever-faster delivery of e-commerce orders. High consumer expectations about delivery and shipping of packages will continue to challenge retailers, carriers and logistics service providers, forcing fundamental changes to warehouse design and location and driving up wages and competition for all types of supply chain labor. Intensified technological disruption and innovation. Technological innovations like the “sharing economy,” the Internet of Things (IoT), big data, on-demand logistics and autonomous and automated equipment solutions will have great impact on supply chains around the world. Going into 2019, companies in the logistics and supply chain space will continue to take advantage of innovation in artificial intelligence, robots, freight supply, and demand matching and blockchain applications to bring new efficiencies and lower supply chain costs. Battered U.S. transportation infrastructure. Buffeted and damaged by hurricanes, floods, snowstorms and the like—especially “weather events” that impact ports and major highways—the U.S. transportation infrastructure is a risk for both companies and the U.S. economy. Continued trucking/transportation regulation impacts. While most larger truck fleets have electronic logging devices (ELDs) that electronically track compliance with driver hours-of-service regulations, smaller fleets without ELDs are reporting reductions in miles traveled per day of up to 15%. This significant reduction can impact shippers’ planning and supply chains for 2019 and the longer term. The ongoing capacity crunch with drivers/trucks. The “capacity crunch” affecting the U.S. trucking industry will continue, due in part to fewer drivers in the “driver pool” thanks to attrition and the tight economy combined with low truck supply and high freight demand. Soaring truck rates. Rates have continued to rise steeply throughout 2018, are soaring at the end of 2018, and likely will continue to rise into 2019. Trucking industry technology trends. New technologies and apps will continue to ease the jobs of logistics professionals. On-demand load-matching freight apps are likely to be increasingly embraced by carriers and shippers. In addition, semi-autonomous trucks are finding a place in fleets and the supply chain, providing a 500-mile shipping range. 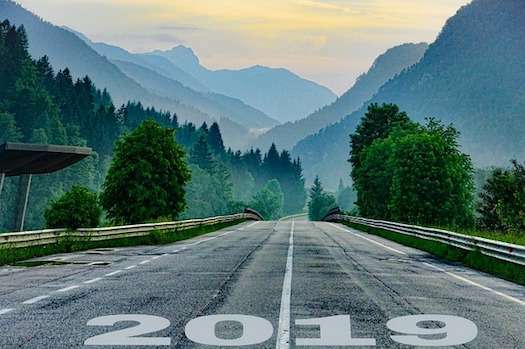 For 2019, we believe the U.S. transportation industry and supply chain professionals will place more emphasis on digitization within the supply chain to help them address these complex challenges.